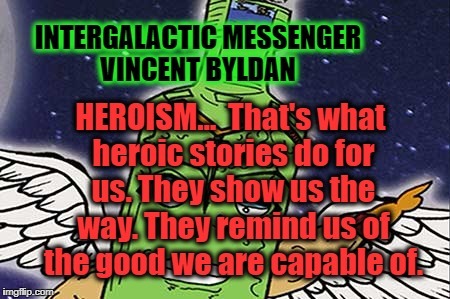 INTERGALACTIC MESSENGER VINCENT BYLDAN; HEROISM… That's what heroic stories do for us. They show us the way. They remind us of the good we are capable of.